Get the real deal in metal drum loops and samples. The Double Bass Mania Series delivers live and powerful metal drumming for styles you won’t find anywhere else. Which styles? Thrash, modern metal, extreme, death, doom, deathcore, djent, and power metal, for example. You want pounding double bass, blastbeats, skanks, insane tom fills? Yeah, so did we. That’s why we recorded some of the heaviest metal drums we could. Available in WAV, AIFF, and REX2 formats, build the brutal metal drum tracks your music deserves. 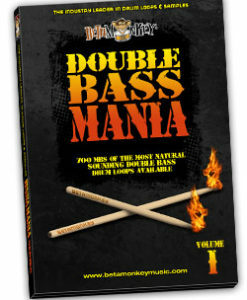 Unquestionably the one and only source for true metal drums and undisputed heavyweight champ… behold Double Bass Mania!